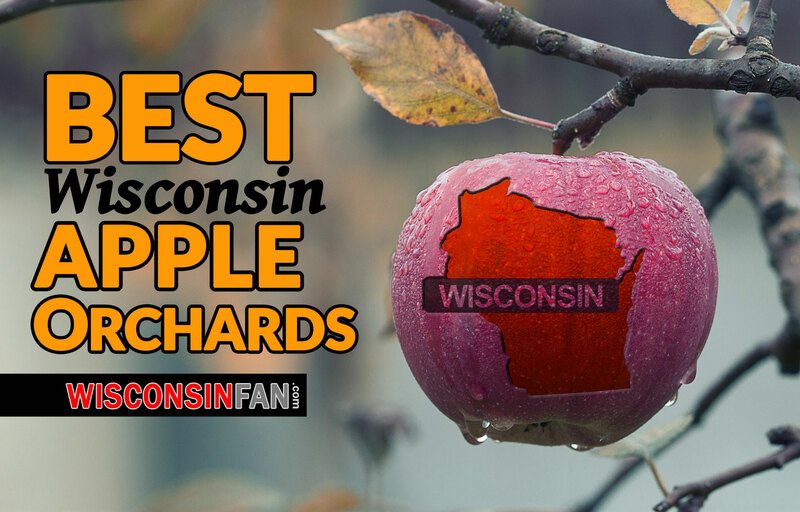 Your guide to the best Wisconsin apple orchards is here (see list at bottom of page). 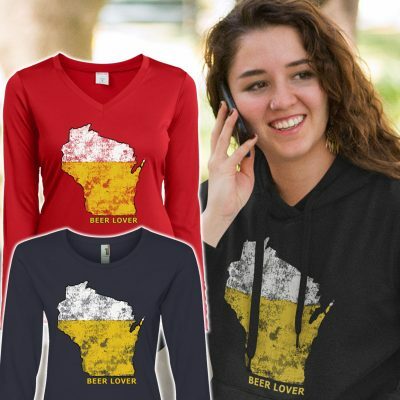 If you want to find a pick your own Wisconsin apple orchard or just want to enjoy the fall ambiance you’ve come to the right place! Grab Fresh Wisconsin Apple Orchard Fruit. This list of apple orchards in southern, central, eastern and northern WI will get you moving in the right direction. Many of these orchards feature a wide variety of apples: McIntosh, Fuji, Red Delicious, Golden Delicious, Granny Smith, Pink Lady, Cortland, and of course the much sought after Honey Crisp variety. Whether you pick your own from a Wisconsin apple orchard or buy them at the store, do not wash apples until you are just about to eat them. Apples ought to be crisp and firm to the touch, not mushy or soft. Some apples are coated in a food grade wax to keep them shiny and appealing to the eye. In most cases the wax coated types are the ones you buy at the store. This wax, while safe to eat, can be very difficult to wash off. The tricky part about washing apples is ridding of all the types of chemicals that are sprayed on some non-organic varieties. Some pesticides are designed to adhere to the skin and prevent insect damage from appearing on the outside of the apple surface. These pesticides are designed to be water resistant so they do not wash off easily in the rain. It’s important to wash apples thoroughly to get rid of any surface pesticides or fungicides. Some people use dish soap to help break down the chemicals so they rinse off easier others use a bleach solution. While both of these methods may help, recent studies have concluded that a mix of baking soda and water is actually the most effective means of cleaning synthetic pesticides and fungicides off the apple skin. Most non-organic apples are treated with synthetic pesticides and or fungicides during the growing process. While the EPA requires Wisconsin apple orchards selling produce for store purchase to wash the apples in a bleach solution and rinse them prior to reaching store shelves, this process only rids dirt and bacteria and leaves the pesticides behind. Non organic varieties can also be sprayed with synthetic pesticides designed to soak through the skin and into the core to prevent burrowing insects. Because of how these chemicals are designed to soak through the skin, they cannot be washed off. For this reason, many people choose to only eat organic types. But it’s important to realize that just because an apple is organic does not mean it’s free of pesticides and fungicides. Yes it’s free of synthetic pesticides and fungicides, but non-synthetic varieties can still be applied and many of these are not very safe for human consumption. Based on what you intend to use your apples for, you might want to have a look at various kinds of apples available at any particular time, in your region of WI. In this way, you will receive fresh apples off the tree at a little premium over you-pick rates. After you eat freshly picked Wisconsin orchard apples it’s hard to go back to stale apples that were touched by hundreds of people at the grocery store. Apples are among the simplest fruit to pick and eat or use for baking and cooking. Most badger state apple orchards prune the apple trees so the fruits are easy to get at without the need of a ladder or special picking tool. They want the trees to be as user friendly as possible. For children, it’s simplest to pick apples off dwarf trees since they’re lower to the ground. 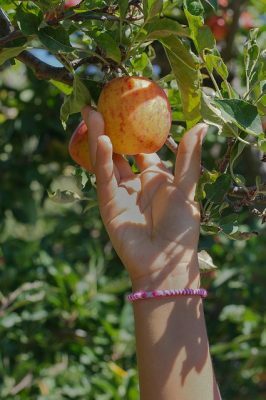 Apple picking is a significant activity to teach your children about the health benefits of apples. Apples ripen from the exterior of the tree to the middle, therefore the apples out the exterior of the tree will ripen first. Eating apples when they’re freshly picked off the tree is quite healthy as long as you wash them first. Remember, even though an apple looks clean it can still have bacteria and pesticides on it. Birds land on and often times relieve themselves on apples, so washing them before eating is always a good idea. If you are searching for a specific variety of Wisconsin apples, call the orchard to see whether they currently have that type. While many of the best apple orchards in Wisconsin advertise a wide variety of apple types available for picking, it’s important to remember that different types of apples mature and ripen at slightly different times during the fall. Environmental factors such as temperature, rain amounts, drought, pests etc can also effect the availability of certain apple species. And as you know, certain varieties like Honey Crisp are customer favorites and will always be the first to be picked from the trees. Also know that not all apple orchards in WI off fall picking. Many orchards only allow customers to purchase pre-picked produce. A number of apple orchards provide cider presses to make natural apple cider as well. Hot or cold, this is always a treat! And unlike store bought apple cider that has been transported in tanker trucks that can be laced with chemicals, freshly squeezed apple cider is much more pure and beneficial. It’s important to remember that apples can absorb odors from other foods when in the fridge. To keep this from happening it is best to store them in ziplock bags in the refrigerator. This will insure that other food odors will not permeate the apples and give them an off taste. Never allow apples to freeze as this will make them brown and taste bad. Apples can become ripe up to 12x faster when stored at room temperature vs kept in the refrigerator. Keep this in mind when thinking about how to store apples. If they are already ripe then put them in the fridge for sure. If they are very hard and not yet ripe then letting them sit out in room temperature can help them ripen quickly. But don’t leave them out for too long as they can quickly over ripen and become mushy. Citrus juice from lime, lemon and oranges can help keep apples from turning brown or tan in color. Sprinkle some juice on them to keep them looking fresh and yummy after they have been sliced. Sliced apples will brown quickly especially when left out in room temperature. 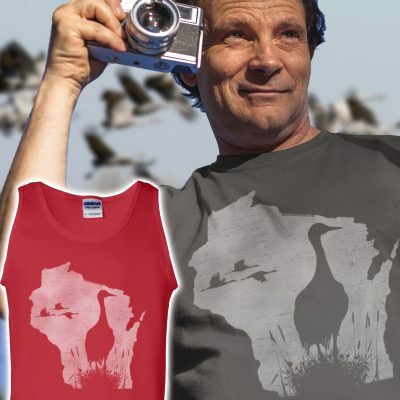 The Best WI Apple Orchards Have It All! Lets face it. Eating fresh picked badgerland apples is certainly delicious, but there are many other ways to enjoy these delicious fruits. Many orchards off pickers freshly pressed apple cider. This is often served cold year round and a special fall treat around halloween in WI is warm apple cider. Tough to beat! And let’s not forget the Wisconsin apple orchards famous apple cider doughnuts! These sugar coated gems are always a favorite for kids and sweet-toothed grown-ups alike. of course you can’t pick the doughnuts off the trees, but many orchards feature them in their stores. Apple flavored carmels and candy is also very popular. As is maple syrup, apple fritters, and of course fresh apple pie. Many of the best Wisconsin apple orchards also feature fun fall time activities for kids and grown-ups to enjoy. Corn mazes have become a huge hit in the Badger State, with some of the largest and most challenging mazes ready for action once the leaves start to change color. And lets not forget the pumpkin patches as well! Many orchards even feature hay rides to and from pumpkin patches. Allowing folks to enjoy a beautiful fall hay ride while grabbing that perfect Halloween pumpkin. And for the brave, there’s always the famous haunted hay ride! Here’s a list of some Wisconsin Apple Orchards near cities throughout the state. Enjoy! 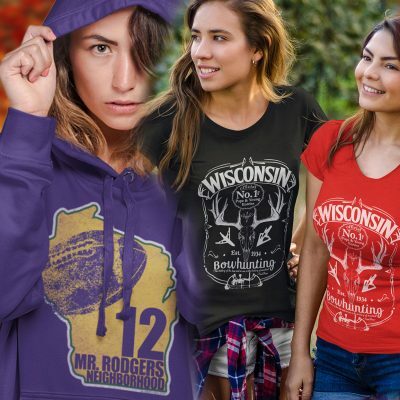 And when your done enjoying the best Wisconsin apple orchards don’t forget to check out our complete line of fun and original Badger State Apparel designs here!